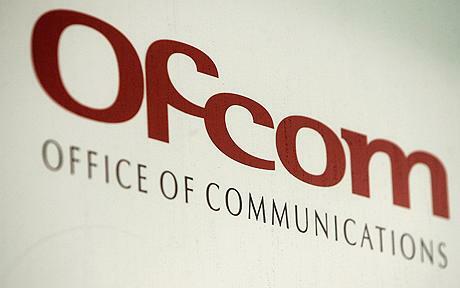 This complaint considers the Panorama programme to be in breach of Ofcom’s Fairness and Privacy guidelines. Programme claimed that the Islamic Shariah Council is promoting a parallel legal system, which is totally false, which we have clearly denied in the public sphere and which we consider to be a libellous statement. The ISC was contacted by letter before the programme was aired and was given a list of the allegations the programme was planning to make. We immediately provided a full and lengthy explanation of every allegation being made, yet only a minute proportion of our response was shown in the programme. This showed the clear bias of the programme and its pre-determined agenda to demonise Dr Hasan and the ISC. Blakeway productions asked to film an interview at the ISC with Dr Hasan on 7 February 2013, which they were happily allowed to do. They were free to film clients and to ask any probing questions they wished. But on a later date Blakeway sent an undercover reporter with a hidden camera, pretending to have domestic problems and wishing to get some advice. She also came to see Mrs Hasan for marital counselling, also with a hidden camera. Only this secret filming was used in the programme. Immediately after the Panorama programme, the ISC saw a dramatic rise in hate letters and e-mails, and an attempt was made to fire-bomb the ISC building, the exterior of which had been shown repeatedly in the programme to aid its identification. Young, non-Muslim men were beginning to come to the office and pick arguments with the staff about the allegations in the programme. The police were called repeatedly and were clear that the Panorama programme was the catalyst for this hate; they admitted that far-right groups were using the programme to increase hostility toward Muslims. For a year the police sent a squad car six times a day to patrol the vicinity of the ISC building and to provide assurance to the terrified staff. The ISC is a registered charity. The Charity Commission was so worried after the programme that it conducted an internal investigation on 02 July 2013 regarding the claims made in the programme. Needless to say, the investigation did not find any evidence of wrong-doing by the ISC. On May 4 2014, The Sun newspaper carried a two-page article entitled, “Shariah Law in the UK; shocking investigation into Court’s preachers.” The only investigation done was to take quotes from the Panorama programme and use them against Dr Hasan. The hate mail began the next day again. A few days later, the Daily Mail contacted the ISC to say they would be doing a similar story. The reverberations of the Panorama programme are not ending, even after it went off-line after being on-line for a year. If this programme is not exposed for its true colours, it will continue to be used as a piece of factual information by other media outlets to malign both the ISC and Dr Hasan. In April 2014, Baroness Cox visited Israel where she made a number of very offensive statements about Islam and Muslims. She cited the Panorama programme to again justify her position. Her comments were quoted in Jerusalem Watch on April 29, 2014. Dr Hasan is one of the foremost Islamic scholars of Britain who is known for speaking out strongly against extremism and hate preachers. He has encouraged Muslims to integrate and to participate in the political process. He founded the ISC thirty five years ago to help Muslim women who had been abandoned by their husbands and could not get religious divorces unless they travelled to their countries of origin. Thousands of women have been freed of unhappy religious marriages through work that he pioneered. Yet the programme attempted to destroy his reputation and to deceive the wider public of what the actual work of the ISC is. The undercover reporter filmed one session for 45 minutes with Dr Hasan, and filmed a counselling session with Mrs Hasan for one hour. But less than three minutes were shown on air from both these sessions. This means that what was shown was completely out of context, and the voice-over that accompanied it deliberately omitted to tell the full story. The edited version gives the impression that Dr Hasan told the reporter, who was pretending to be a victim of domestic violence, not to go to the police. In fact, the woman had claimed that her husband had hit her, but then had become incredibly vague when Dr Hasan questioned her about where he hit her, when he hit her, if there had been any bruises, why she had not gone for help, what the problems were in her marriage etc. Such questions are normal practice by police, domestic violence (DV) personnel and so forth. The person in authority has a duty to verify any information given, especially if it is a serious charge such as DV. The reporter was not only vague, but also insisted that she did not wish to get her husband into trouble. Dr Hasan ascertained that her life was not in danger, that she had travelled to the ISC without any problems and that she was not living in any fear. The reporter then asked a leading question, “Should I go to the police?” Given what she had said before, going to the police was not considered to be an option. Only this section was then shown, taking Dr Hasan’s answer out of context and giving a completely false impression of the conversation. The impression deliberately given and which was repeatedly commented upon by Jane Corbin was that Dr Hasan was insensitive to DV and that he actively discouraged victims of DV from contacting the police. The reporter then met Mrs Hasan who provides counselling for women at the ISC. The reporter was similarly vague about the alleged abuse she was suffering, and continued to insist that she did not want her marriage to break up. She made it clear that she wanted to improve her marital life and wanted advice on how to do so. Mrs Hasan was trying to identify the reasons behind the husband’s alleged anger to his wife. When the reporter made leading comments about her husband’s alleged complaints about the food they ate, Mrs Hasan asked her to speak to him about her cooking and ask whether this was the problem. Only this short part of the conversation was shown in the programme. This gave the impression that Mrs Hasan was insensitive to the abuse. It also reinforced stereotypes about the domestic obsessions of Muslims in which blame for failed marriages is always placed on the women. The National Director of UK’s Crown Prosecution Service, Nazeer Afzal, watched only the edited version of the interviews and then made sweeping remarks about the dangerous and criminal work of some shariah councils. His presence in the programme gave credence to the agenda of the programme that the work of the shariah councils can be classed as criminal.